Please note … we’re not medical experts, so always consult your travel clinic for the last word, especially if you have any pre-existing conditions, may be pregnant, or are allergic to eggs. There are many African countries where it’s the law to have a yellow fever vaccination as an entry requirement. It’s similar to a tourist visa — you just have to have it in order to pass through immigration. These are often countries where the disease is endemic and it’s just an effective means to stop it spreading beyond their borders, (click here for a list of countries courtesy of the CDC). When there’s an outbreak of yellow fever, more countries make it compulsory to have the vaccination upon entry. Because of this, it’s a good idea to check with us, the embassy of the country you are visiting, and the CDC for the latest news. When you get the vaccine, your travel doctor will give you a little yellow booklet which is stamped and dated — and there’s the proof you need to have with you, when you enter the country. 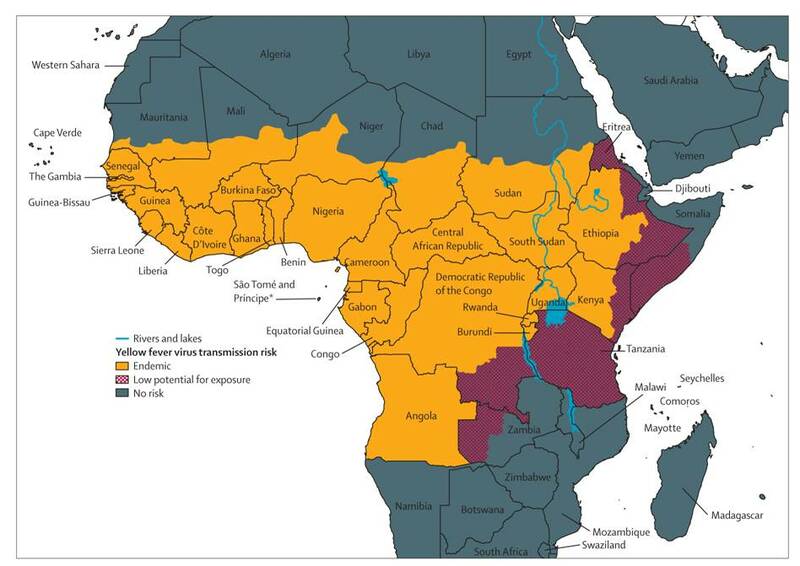 As of May 2016, Tanzania, Rwanda, Uganda and Kenya have stepped up their requirements for the yellow fever vaccine. If you are traveling between these countries, a yellow fever vaccine is mandatory. In most cases, our clients are on safari in countries that don’t require a yellow fever vaccination upon entry, unless you have originated from a country where the disease happens to be endemic. Given that a safari is frequently the first time you might be visiting Africa, it may not always be obvious when you are crossing borders during your trip. 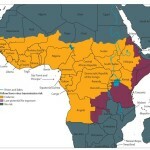 For example, if you are gorilla tracking in Rwanda or Uganda and combining this with a safari in Kenya or Tanzania, you will need to get the yellow fever vaccine. If you plan to see the migration in both Kenya and Tanzania, you will need to get the yellow fever vaccine. If you are transiting through a country and your stop requires you to change planes, (via Addis Ababa or Nairobi for example), you may want to consider getting the vaccine just to be on the safe side just in case you experience a delay and have to overnight. If you are just stopping to re-fuel in Accra for example on a South African Airways flight, and you will not de-plane, you are not required to get the yellow fever vaccine to enter South Africa. Do They Really Check if You’re Vaccinated at the Airports/Borders? We’ve traveled all over Africa, and in some cases stood in line at immigration, proudly showing off our little yellow vaccination booklet without it ever being glanced at. Don’t be disappointed if this happens, it is still worth getting the shot. Otherwise you could be facing what’s described below …. What Happens if I Don’t Get the Yellow Fever Vaccine and It’s Required? If you did not get the yellow fever vaccine, or forgot your little yellow book with the proof, you’re likely to face a couple of scenarios. If you’re “lucky” there may be a person in a white coat offering to give you a shot on the spot at the airport, for a fee payable in US Dollars. There’s no way you can guarantee that the Doctor is using new needles, nor that he is qualified. It’s a chance you would have to take and we don’t recommend it! As the vaccine takes at least 10 days to begin to be effective and for a person to build up immunity to the disease, it is also a waste. If there is no Doctor on call at the airport, then you will be sent back home on the next available flight. Also, a shame. 1. If you are traveling between two or more African countries and many safari itineraries do, then it’s best to get vaccinated. You never know when there may be a yellow fever outbreak and the entry requirements can change overnight. 2. If you are making a stopover in Africa en route, or traveling on an African airline. You never know if there may be a delay requiring an extra overnight in Addis Ababa for example, or a re-route, and suddenly you could be perceived as originating in a country that has yellow fever. What if the Shot is Required And I Can’t Get it For Medical Reasons? If you are allergic to eggs, under 9 months old, or have certain pre-existing conditions, it may not be safe for you to get the yellow fever vaccine. But you will need a medical waiver stating that, and should visit your travel clinic to get one. See more information on the CDC web site. SPMSD, the sole global manufacturer of the yellow fever vaccine, has announced that it is experiencing supply problems with the vaccine, which are expected to continue into 2016. Plan on getting the vaccine as early as possible once you have your safari in place, as there may be shortages. The yellow fever vaccination is valid and effective for 10 years, so you may just have to make repeated trips to Africa to make it worth your while! Call us, we never run out of safari ideas for our repeat clients!